Original Air Date: October 19, 2016 In this episode of Francis Watch, we are pleased to welcome back Father Anthony Cekada before his surgery. He joins Bishop Donald Sanborn in commenting on the latest outrages of Jorge Bergoglio against the Roman Catholic Religion. Topics for discussion in this episode include: -Confirmation via explicit written letter by Francis of the “spirit of the law” regarding Amoris Laetitia in regards to a pastoral letter issued by the diocese in Buenos Aires. -Francis cautions people against “pretending” to do good works. Takes one to know one, perhaps? 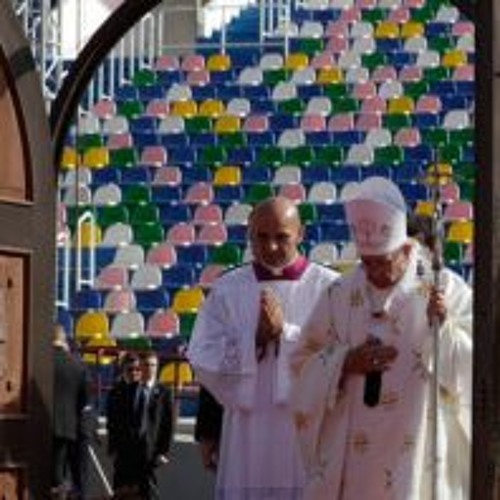 -Georgian Catholics are warned against the great sin against ecumenism: trying to convert the Orthodox! -Transgenders are a case-by-case issue. -Art imitates life in a new television series about a disrespectful and probably atheist “pope.” -Assisi installment six rolls on. -A brief look at the new “cardinals” that have been appointed. -The laughable and embarrassing response of CFN and the Remnant, an upgrade on their “resist you to the face” routine to a mockery of a Pius XI encyclical title. -What happens when annulments go on sale. Show Sponsor: Novus Ordo Watch https://novusordowatch.org Francis Watch’s 2014-2017 seasons, previously only available to the paid members of Restoration Radio, have been made public via the generous sponsorship of Novus Ordo Watch. You can listen to over thirty of these episodes at the link below, the first of which was recorded only months into the non-pontificate of “Call me Jorge” Bergoglio. 2014-17 soundcloud.com/franciswatch/sets | 2013 soundcloud.com/truerestoration/sets/jorge-bergoglio-francis You can learn more about the work of Bishop Sanborn at mostholytrinityseminary.org and Fr. Cekada at fathercekada.com. Original Air Date: October 19, 2016 Show Run Time: 1 hour 29 minutes Show Guest(s): Bishop Donald Sanborn, Father Anthony Cekada Show Host(s): Stephen Heiner Francis Watch℗ is sponsored by Novus Ordo Watch. Copyright 2016. All Rights are Reserved. Duplication is with explicit written permission only.